Apple will unveil more plans for its iBeacon technology at the start of this week's WWDC 2014, reports The Wall Street Journal. In addition to new details about the technology, the company will promote iBeacon by placing transmitters throughout the Moscone Center while offering sessions for developers on how to better implement the technology into their apps and services. It is not known what exactly Apple has in store for the technology, but it is possible that the company could announce a more prominent role for iBeacons in iOS 8, new partnerships with companies, and more. 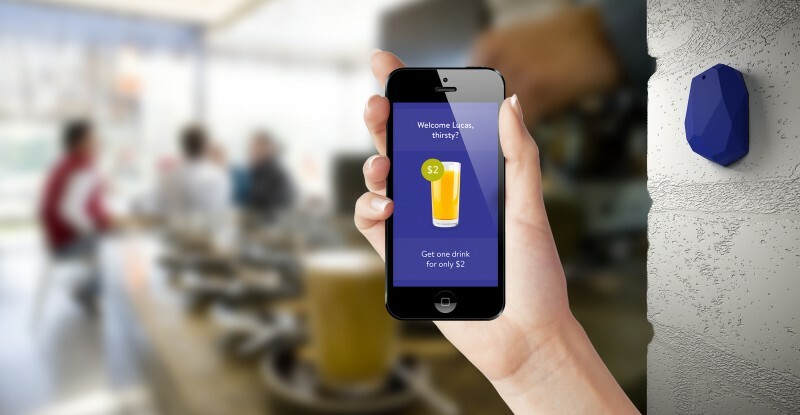 iBeacons could also see integration in Apple's highly rumored mobile payment service. First introduced during last year's WWDC, iBeacons enable iOS devices to wirelessly communicate with physical beacons through Bluetooth, as the transmitters are able to deliver relevant information to apps and services when a user is physically nearby. Apple implemented a new iBeacon "Made for iPhone" specification in February, signaling a more significant role for the technology in its devices. iBeacon technology has also been used by a number of companies in a variety of ways since the end of last year. Shopping app Shopkick and Macy's partnered to integrate the technology into stores to assist consumers, while Major League Baseball and the National Basketball Association have used the technology to provide enhanced live experiences. Apple has also implemented iBeacons into its own retail locations to deliver messages about picking up online orders and store events, although early experiences with the technology were mixed. The technology has also been featured in the UK, where a cafe and London's Heathrow Airport have integration iBeacons to notify users of promotional deals. In addition to new details about iBeacon at WWDC 2014, Apple is also expect to unveil iOS 8, OS X 10.10, a new home automation platform, and perhaps some new hardware. Apple will be live streaming the event both on its website and on the Apple TV. MacRumors will also be providing a live blog, live tweets via the MacRumorsLive Twitter account, and a spoiler free page for those who want to watch the full keynote at a later time. This is one of those technologies that few people talk or know about, but that'll likely change things in a big way. Things just pop up on your screen about products and services inside of stores? Think home automation. You enter your home, the lights go on. You go in your living room, Apple TV wakes up and your iTunes Server wakes up. You leave your house, everything goes to sleep after 5 minutes. Shopping app Shopkick and Macy's partnered (https://www.macrumors.com/2013/11/20/shopkick-and-macys-team-up-for-first-retail-based-ibeacons/) to integrate the technology into stores to assist consumers, while Major League Baseball (https://www.macrumors.com/2014/01/30/mlb-ibeacon-rollout/) and the National Basketball Association (https://www.macrumors.com/2014/03/21/placed-personal-sport-ibeacons/) have used the technology to provide enhanced live experiences. Hmmm. . . "Assist consumers" and "provide enhanced live experiences" *what lovely, lovely euphemisms for plying us with increasingly targeted advertisements in the hope of making increasingly more money. It's obvious this will permit geospatial advertisements. You're walking down the street (with blue tooth on and iBeacon permitted) and pass a pub with an iBeacon advertisement for drink specials. You're in a mall and get notified of sales as you pass door fronts, etc. I can see it's potential but personally it seems as another unnecessary technological intrusion in our daily lives. If you leave the bathroom with your iPad will the toilet flush itself? I can't wait to see how iHome will interface with my winter environmental control console and my summer environmental control console. Location awareness indoors. Interactive museum tours. Curated walking tours through cities. Ballparks are already using them to offer up better seats to those sitting in the nosebleeds when the stadium is undersold. The possibilities are literally endless, you just need to have a bit of imagination. Yeah, the possibilities are endless but the real uses are non-existant. I'd really love to see some new hardware tomorrow, or some hints towards some of the "best product lineup" that's coming this fall. I suspect that Apple has been holding off on product releases because of the stock split. The point of the split was to lower the cost to buy in a once that is done they will want to excite folks to use that lower rate, as well as raise the value up.